The time has come, gorgeous gals, to talk of other things. We often focus on skin. But everyone knows that lips are the real show stopper. 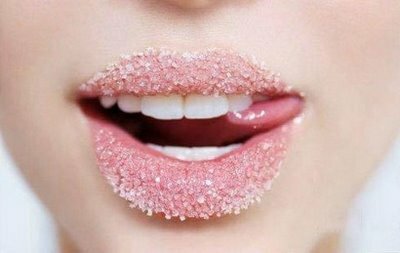 Here are some answers to your lip volumizing questions: how to correctly moisturize your lips, what’s the best lip exfoliator, what products make your lips look naturally full, and what do lip fillers actually do. So, come one, come all, and learn trade secrets on getting the softest, fullest, most kissable set. Care for your pretty pout with our lip tips! Lip Care Rule #1:Moisturizing your lips is good. But beware: not every lip product that claims to moisturize is good. Stay away from lip products with petrochemicals. Petrochemicals are occlusives which act like a protective insoluble layer. This means while it’s on your lips, your lips are protected from drying out. But without the product, your lips are vulnerable and they might feel drier than ever. So what’s the plan? Try an alternative! Opt for lip products that contain other types of moisturizing properties like emollients (almond oil, olive oil, or natural waxes like beeswax or shea butter) or humectants (like vegetable-based glycerin or hyaluronic acid). Or try grabbing a lip product with jojoba oil which is both an occlusive and emollient—this means as it protects, it also softens. And unlike petrochemical this natural occlusive allows your skin to breathe! Lip Care Rule #2: Before you moisturize, exfoliate! So you already know your body’s skin can more readily absorb moisturizing products once it’s been exfoliated. Same goes for the skin on your lips. Moisturize all you want, but if a dry dead layer of skin blocks your live skin cells from the product, as miraculous as it might be, it ain’t going to work wonders. So what’s the plan? Gently exfoliate your lips if they are too dry to benefit from your lip moisturizer. Create a gentle sugar scrub with a teaspoon of honey and a pinch of brown sugar. Lightly rub the scrub onto your lips. Then wash away to reveal a softer pout. Or for a super-quick fix, try gently scrubbing your lips with a soft-bristled toothbrush. After exfoliation don’t forgot to moisturize to ensure your new pout is protected! Lip Plumping Action, Take One: Grab a long-lasting irresistible lift for your lips! Lip fillers like Juvéderm can smooth out lip wrinkles, redefine lip outlines, and volumize. Juvéderm is an injectable filler made of hyaluronic acid, a substance that occurs naturally in our bodies and is essential for the maintenance of collagen. Together hyaluronic acid and collagen keep our skin plump, elastic and youthful. 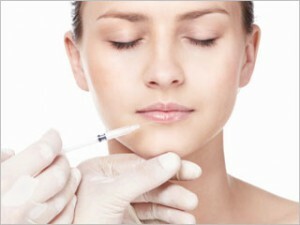 With the injection of Juvéderm, shape is redefined and collagen production is boosted. Typically Juvéderm results last about 9-12 months. Want to learn more about Juvéderm? Discover the details on BodyLase®’s Juvéderm Treatments page. So what’s the plan? For the ultimate ‘Ooh la la!’ effect, leave no detail untended. Lips and eyes are our most noticeable facial features. So be sure to grab all the attention you can muster with this month’s special: BodyLase®’s Lips and Lash Special! When you volumize your lips with a luscious Juvéderm lift this month (January 2011), and you’ll take home Latisse Lash Conditioner for FREE! Lip Plumping Action, Take Two: Want your lip moisturizer to give you fuller lips? Well, ladies, Vivité heard your cries and granted your wish! 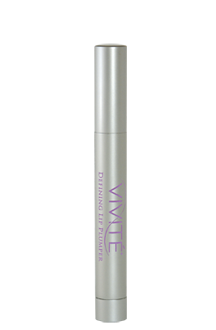 Vivité Defining Lip Plumper includes heaps of moisturizing goodness alongside a welcome cocktail of lip-plumping ingredients. Calm and condition your lips with chamomile, green tea extract, vitamin E, and aloe, while your lips are plumped by ethylhexyl palmitate, tribehenin, sorbitan isostearate, and palmitoyl oligopeptide. So what’s the plan? Getting awesome results from one product equals a win! Grabbing two from one product is a major bonus! 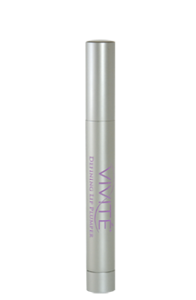 Vivité Defining Lip Plumper will see that your lips’ delicate skin and fine lines are softened as they are slowly plumped. Visit BodyLase®’s online boutique or visit us to grab your tube!